In 1909, after completing his second term as US president, Theodore Roosevelt led an ambitious expedition across east Africa to shoot specimens for America’s most famous museums. Along with his son Kermit and a handful of naturalists, he collected thousands of animals — everything from elephants to shrews, large raptors to tiny songbirds. The expedition’s bounty was preserved in 4 tons of salt and carried across vast savannas by large crews of African porters, some of whom died along the way. The ultimate prize of Roosevelt’s epic scientific safari was the Nile rhinoceros, a mysterious type of square-lipped rhino found along the Upper Nile in the regions today called southern South Sudan and northern Uganda. Zoologists noted that it was remarkably similar to the so-called white rhinoceros of southern Africa but smaller, and that it was separated from the southern white by thousands of miles. Were Nile and white rhinos the same species? Experts couldn’t agree. Roosevelt’s caution was warranted: The Nile rhino, having suffered decades of trophy hunting and poaching, is on the very edge of extinction. Now often called the northern white rhino, it has only five individuals left, all in captivity, and none able to breed. The southern white rhino is under withering assault by poachers — although it’s the most numerous of the world’s rhino species, with perhaps 20,000 remaining, conservationists conservatively estimate that if killing continues to increase at current rates, all wild southern whites could be gone within 12 years. The southern white rhino is under withering assault by poachers — although it’s the most numerous of the world’s rhino species, with perhaps 20,000 remaining, conservationists conservatively estimate that if killing continues to increase at current rates, all wild southern whites could be gone within 12 years. The high-profile plight of these closely related species has brought forth a bewildering array of proposed solutions, many of which trigger serious ethical dilemmas, risk unintended and troubling consequences, or rely on unproven technology. We’re charging headlong into an era in which new technology may allow us to save species once considered doomed, but also in which threats come in previously unimaginable forms that mainstream wildlife protectors cannot handle. In Teddy Roosevelt’s time, saving a species involved little more than declaring it illegal to hunt and protecting a place where it could live. This either worked, as with the American bison, or didn’t, as with the heath hen, a ground-dwelling North American bird whose 1932 extinction resulted from a cascade of factors (including genetic problems from inbreeding) that conservationists didn’t have the knowledge or tools to deal with at the time. Had the Nile rhino been in its current predicament a century ago, it certainly would have gone extinct. But today’s conservationists think they can save it by stretching the bounds of reproductive science. We’re charging headlong into an era in which new technology may allow us to save species once considered doomed, but also in which threats come in previously unimaginable forms. Three of the remaining five Nile rhinos, two females and a male, live at Ol Pejeta Conservancy in Kenya. These animals have thus far failed to breed due to various reproductive problems. German and South African researchers will now pioneer artificial insemination techniques on a group of southern whites in South Africa that will be applied as soon as possible to the Nile rhinos in Kenya in a last-ditch attempt to breed from them. The San Diego Zoo Institute for Conservation Research houses a “Frozen Zoo” where cells of many threatened animals, including 12 individual Nile rhinos, are deep-frozen in liquid nitrogen. Working in parallel with the German/South African effort, Frozen Zoo staff plan to use a technique developed at the Scripps Research Institute to transform the cryopreserved Nile rhino cells into stem cells, which can then theoretically be used to make embryos that can be incubated in the zoo’s southern white rhinos. Many pieces of the puzzle remain to be figured out, but the San Diego team has just received a grant to map the genetic differences between Nile and southern white rhinos, a vital part of the process. Some conservationists fear that if scientists figure out how to make new animals from preserved cells cheaply stored in a bottle, so to speak, tax money will be directed away from conservation and into things that are more immediately popular. There are also fears that young Nile rhinos raised by captive southern whites may not learn behaviors vital for their survival in the wild. Can we really say we’ve saved the Nile rhino if it acts like a zoo-dwelling southern white? How important is learned “culture” to the makeup of a species, and how do we revive that? The steps being taken to save southern white rhinos from the relentless onslaught of ever more organized poachers and traffickers — who sell their horns for extraordinary sums in Asia to consumers who believe that rhino horn cures cancer and other ailments and businesspeople seeking status symbols — are no less fraught with uncertainty. The largest population of southern white rhinos, perhaps 7,000 animals, resides in South Africa’s Kruger National Park. It’s the epicenter of world rhino poaching: 827 carcasses were found there in 2014, and the actual number poached may have been over 1,000. Despite reinforcing park rangers with military units and gathering extensive intelligence on poaching gangs, park authorities have been unable to stem the slaughter. Large-scale translocation projects are now moving hundreds of rhino from Kruger and other at-risk preserves to other parks across South Africa and even to neighbouring countries like Botswana — their exact destinations shrouded in secrecy because poaching gangs have even been known to hijack relocation trucks to kill the rhinos in them. One plan even calls for establishing populations of African rhinos in Australia. But many South African conservationists are wary of large-scale rhino translocations because they’re expensive and poachers are extremely mobile, now using low-flying helicopters and night vision equipment to find rhinos in remote areas. Large translocated populations might become new “poaching magnets,” attracting poachers to previously untroubled places. National pride also comes into play; by sending rhinos to other countries, some South Africans feel like they’re admitting defeat. 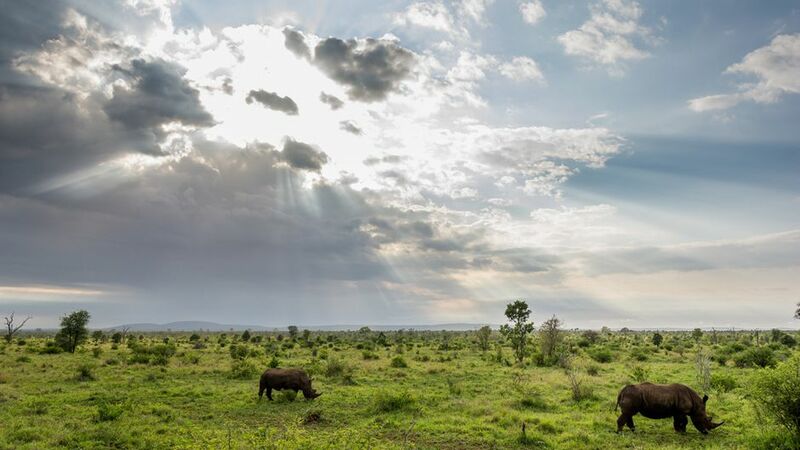 Carefully designed translocations are a proven part of conservation practice, and have been used to boost rhino populations and save many other species in the past. Clearly, the expense of rhino translocation must be weighed in context and the possibility of creating new poaching magnets should be considered (both these problems can be solved by only moving small, carefully chosen groups of animals). Misplaced national pride was the downfall of the last wild population of Nile rhinos, which lived in Garamba National Park in the Democratic Republic of the Congo. In the early 2000s conservationists planned to transfer some of the remaining 30 or so animals to Kenya to create an insurance population. Nationalist Congolese politicians stalled the transfer, poaching intensified, and a 2008 survey found none remaining there. 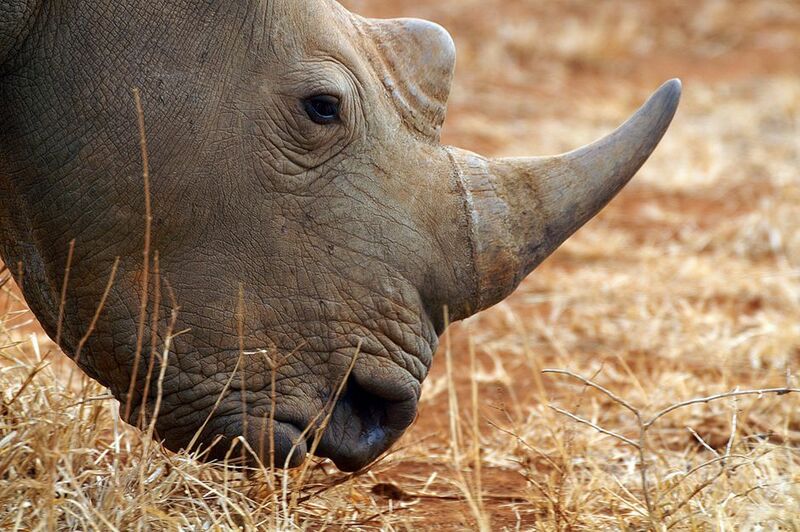 Others aim to save rhinos by making their horns less appealing and valuable. One group of South African rhino lovers has started injecting brightly coloured poison into the horns of live rhinos. Their goal: to make the horns useless to poachers and at least a little dangerous to consumers. The approach is legally controversial, as horn-poisoners might be found liable for harm to consumers, even if the latter are acting illegally. And some scientists say the toxic mixture doesn’t actually saturate the horn, and so is a waste of time. An influential group of South African wildlife ranchers are taking the opposite tack. If Asian consumers won’t stop paying absurd prices for poached, illegally traded rhino horn, perhaps Africans should change international wildlife trade laws and create a legal trade in horn from farmed rhinos, they say. (Rhino horns can be carefully cut off every few years without harm to the animal; they eventually regrow.) Their idea is to flood the market with legal horn, drive criminals out of business and generate revenue for rhino conservation. One group of South African rhino lovers has started injecting brightly coloured poison into the horns of live rhinos. Their goal: to make the horns useless to poachers and at least a little dangerous to consumers. The reasoning is superficially appealing. 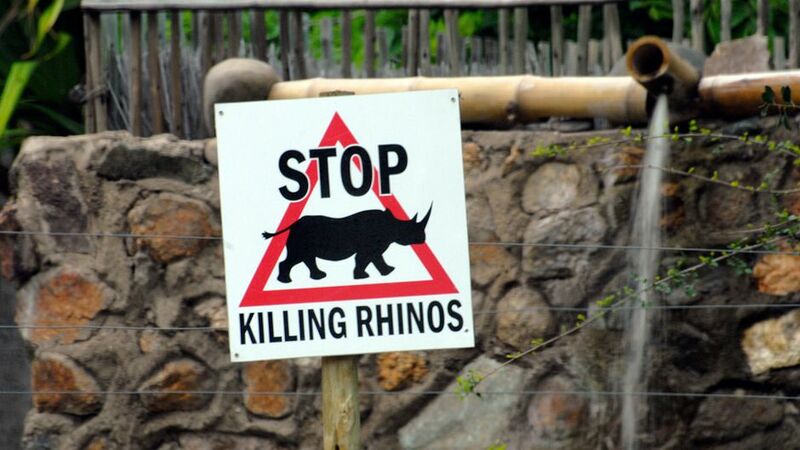 What’s not to like about generating dollars for rhinos’ welfare without killing them? But critics who understand Asian markets say that legal trade in high-value wildlife products boosts demand by legitimizing them in the eyes of consumers, and creates channels through which to launder poached products. This is evident from the currently legal trade in elephant ivory and farmed tiger products in China. Far from reducing pressure on wild elephants and tigers, legal ivory and tiger parts have made these commodities more visible and desirable in Chinese society, driving poaching to new heights. There’s usually no way of telling poached and legally farmed wildlife products apart, making it easy for illegal material to be sold in legal marketplaces; poached and legally harvested rhino horns look identical, making law enforcement very difficult. It would also be very difficult, perhaps impossible, for rhino farmers to meet the twin goals of generating large profits to fund conservation and flooding the market to drive horn traffickers out of business. Making money for conservation means maximizing the price of horn. Undercutting the wildlife crime industry means selling horn cheaply. How does one do both at the same time? 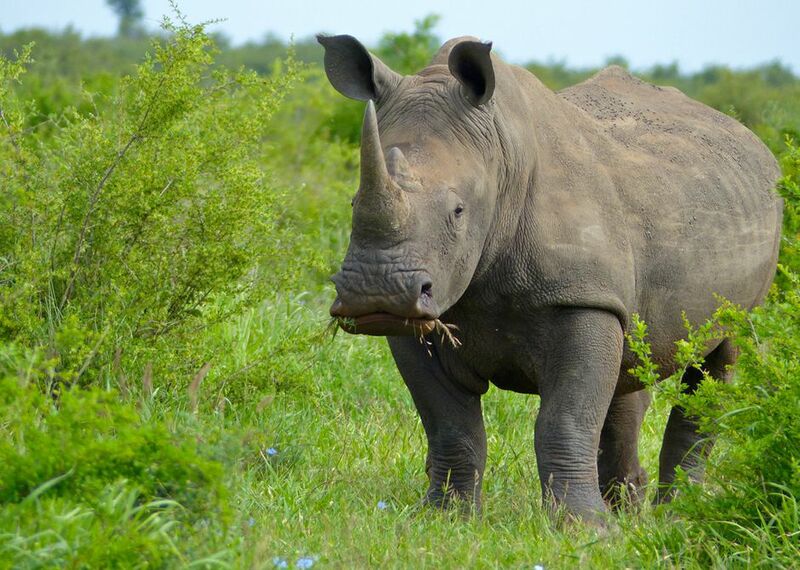 In any case, international opposition to a legal horn trade is intense, making it exceedingly unlikely that international treaties could be altered within a timescale that’s meaningful to rhinos. Because rhino poaching often takes place in massive hard-to-police areas, a few new companies are repurposing military surveillance technology to boost conservationists’ ability to monitor such expanses. Rhino poaching often takes place in massive, rugged, hard-to-police areas: the Kruger Park, for example, is roughly the size of Israel, and other African parks are even larger. 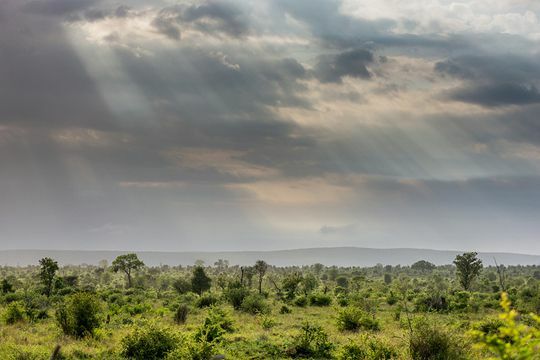 But a few new companies are repurposing military surveillance technology to boost conservationists’ ability to monitor such expanses. A dizzying array of drones, long-range cameras, hypersensitive microphones, cell phone monitoring stations and cutting-edge software are being packaged with the specific purpose of finding poachers before they strike. Understaffed anti-poaching squads, desperate for help, are in favor of the military-tech approach. However, some critics balk at the expense of this hardware, pointing out that billions spent on similar gear has failed to stop people and illegal drugs flowing across America’s borders. Others wonder if tourists will visit parks that increasingly resemble military camps. If all that consumers care about is the horn part of the rhino, why not leave the animals in peace by growing horn in a lab? A Seattle-based company, Pembient, aims to grow nature-identical rhino horn (and ultimately other wildlife products) using cutting-edge biotechnology and a hefty dose of Silicon Valley techno-optimism. Critics are worried that, just as with selling legally farmed horn, this approach may backfire horribly. It may disassociate horn from the gruesome business of poaching in the mind of some consumers, making its use more socially acceptable. And it could counterproductively increase demand for poached horn in other consumers, as “real” horn may be seen as more genuine or potent. This already has happened with American ginseng, a plant that grows wild on forest floors across much of the northeastern US and is highly desired in China for medicinal use. The creation of a large cultivated ginseng industry has made wild ginseng root appear better and more desirable, driving prices up and increasing pressure on wild populations. Ginseng collecting has gone from a small seasonal occupation to a big money spinner in places like Appalachia. Illegal harvesting is rife and violent conflicts now occur over natural ginseng patches in formerly peaceful rural communities. The ultimate solution to poaching and the illegal trade in wildlife products is, of course, to persuade people not to buy them — an approach known as “demand reduction”. Most conservation groups paid little attention to this in the past, but organizations like the one I represent, WildAid, have made measurable progress in shifting public attitudes against wildlife products and driving down consumption using techniques pioneered by Hollywood and the advertising industry. A range of wildlife groups are now rolling out word-of-mouth, broadcast media and cell phone campaigns against ivory and rhino horn in Asia, and surveys reveal that public attitudes have begun to shift against these products as well. For example, WildAid partnered with Chinese basketball superstar Yao Ming and other celebrities to campaign against the cruel and wasteful killing of sharks for shark fin soup, a status item whose consumption was skyrocketing in China with that country’s growing wealth. The campaign’s TV ads and billboards have been seen by hundreds of millions in China, and last year 85 percent of respondents to a public survey said they’d stopped consuming shark fin in the previous three years, the most common reason cited being anti-shark fin public awareness campaigns. Chinese wholesalers report massive declines in sales, and fishermen across Asia are getting out of the shark fin business because prices are too low. A range of wildlife groups are now rolling out word-of-mouth, broadcast media and cell phone campaigns against ivory and rhino horn in Asia, and surveys reveal that public attitudes have begun to shift against these products as well. Much needs to be learned, however, in today’s ever-evolving media landscape, and there’s always a risk of a campaign having unintended consequences. Many conservation groups refuse to put a number on the sky-high street prices of rhino horn, for example, for fear of encouraging more trafficking. In the recent past, conservation was mainly about understanding the biology of endangered species, protecting and managing their habitats, and lobbying for new laws. Today, saving high-value species like rhinos and elephants means outmaneuvering nimble poaching and trafficking networks, which are surprisingly well-funded, able to exploit cutting-edge technology and unencumbered by tedious legal processes and governing committees. Wildlife protectors, for their part, have to become expert gene manipulators, criminologists, military technologists and marketers. They must deal with practical and ethical problems that previous generations could not have imagined. There is clearly no silver-bullet solution. Conservationists have no choice but to grasp the future and grapple with its risky technologies if rhinos — and thousands of other species — are to continue to exist in any condition resembling their wild, ancient way. Welcome to the Wild World of Rhino Conservation by http://ourworld.unu.edu/en/welcome-to-the-wild-world-of-rhino-conservation is licensed under a Creative Commons Attribution-NoDerivatives 4.0 International License. Adam Welz is a writer/filmmaker, longtime naturalist, addicted birder and inveterate debater. He’s the South African representative of WildAid, a nonprofit that focuses on ending the demand for illegal wildlife products.